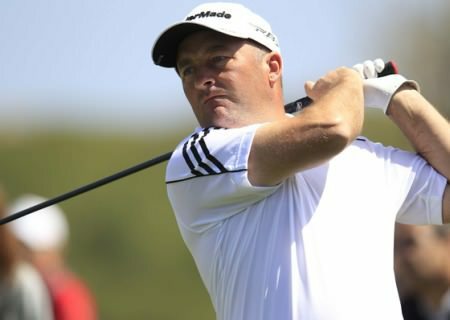 Straight-hitting Damien McGrane got off to a solid start in the rain-lashed $1.5 million Blue Chip New Zealand Open. The Kells ace, 35, opened with a one under par 70 to trail Australia’s Scott Strange by just three shots at the Gulf Harbour Country Club. Despite torrential rain and driving wind, McGrane missed just three fairways and fired three birdies and two birdies in his last event of the year. And the Meath star will be determined to build on his steady start and challenge for his first tour win after a 2006 season of that could have been so much better. 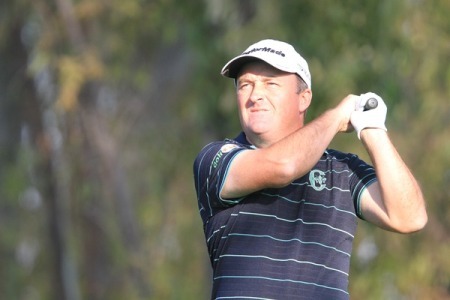 McGrane finished the campaign by clinching his second successive Volvo Masters appearance. But he went to Valderrama feeling frustrated after letting winning chances get away several times with poor weekend performances. While Strange finished with three birdies in the last four holes to move to the top of the leaderboard, McGrane started bogey-birdie-bogey before steadying his round with back to back birdies at the 11th and 12th. At one under par, he is tied for 14th place with Aussies Jarrod Moseley, Greg Chalmers and Kim Felton just one shot behind the leader on three under. Strange took advantage of the luck of the draw in terms of the poor weather to finish strongly. Local favourite and former US Open Michael Campbell has his eye on the ceremonial Maori cloak - the korowai - presented to the winner after a level par 71. Making his first appearance on home soil since his win at Pinehurst last year, he said "I'm pretty excited about the next three days because I know I am due for a win. "The hardest part today was trying to keep your focus in the rain, but I'm very, very pleased with how I hit the ball." Dubliner Peter Lawrie came back from a shaky start to post a one over par 72. Just a week after missing the cut in the Australian Open, Lawrie double bogeyed the par five second hole and went three over after four bit birdied the 14th and 18th to limit the damage. Tour grinder Damien McGrane got a little help from his friends as he fired a sparkling 65 to light up the Irish Open leaderboard. A determined looking Damien McGrane during the opening round of the Joburg Open at Royal Johannesburg and Kensington Golf Club. 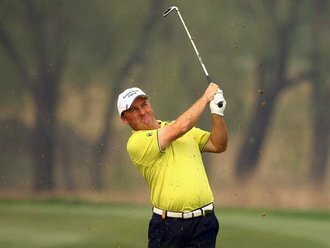 Photo by Luke Walker/www.golffile.ieNot even a bogey at the last could wipe the smile off Damien McGrane’s face as he fired an eight under 63 to grab a share of the clubhouse lead in the weather-delayed Joburg Open. Damien McGrane on the fifth at Aloha. Photo Jenny Matthews/www.golffile.ieIf Damien McGrane designed a course to suit his game, it might look a lot like Aloha Golf Club where he lies just a shot off the lead at the halfway stage of the Open de Andalucía Costa del Sol. 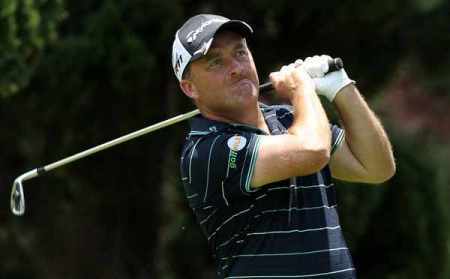 Damien McGrane is just four shots off the clubhouse lead in the weather-affected NH Collection Open in Spain.